The largest state in the Malaysian Peninsular beckons you to visit some of its best tourist destinations. Pahang is an amazing state that promises a promenade of exciting tourist destinations that will leave you spoiled for choice. If you are in Pahang, your trip would not be complete if you did not head to the highlands. Other than the Cameron Highlands, Genting Highlands is another must-visit tourist destination in Pahang. In fact, it is a popular tourist destination for all ages from around the world. The casino here has managed to attract a great number of tourists hoping to make a big sum of money at the casinos. Busloads of people come here every day with people who are in search of a fun-filled holiday and an amazing gateway far from the city. Genting Highlands is the place to be in. The best time to head to the highlands here is between March and September because the rainy seasons would have ended and your holiday will be a more pleasant one; without having to worry about the rainy weather. Temperatures here are much cooler than other spots in Malaysia so if you are not used to the cool temperatures a sweater and warm clothing is highly advisable. 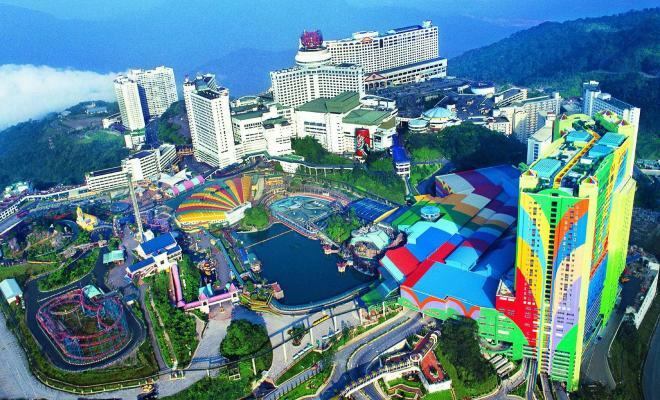 The Genting Highlands Resort is a good choice to put up a night in, it is affordable and is very close to the theme park. Genting Highlands is a great place to have a family vacation. Locals love this place because it is a very accessible and convenient retreat for their family outings. The theme park here is an exciting one; with its colorful rides and exciting activities for visitors of all ages. Another great place to consider for your accommodation is the First World Hotel. This hotel is the largest budget hotel in Asia and is definitely a great option if you are keeping to a tight budget. Genting Highlands is also a great place to discover some very tasty and fresh fruit and vegetable farms. The temperatures here are just right to harvest some of the best vegetable produce. Strawberry farms here are also a great place to visit and try out some strawberries with a chocolate dip. You can also head down to the vegetable market and seafood restaurants nearby that dish up some of the best local cuisine and guarantees fresh vegetables straight off the vegetable farms here. When you are here, you may also find it interesting to take some time off your holiday to visit the memorial hall. The hall and park was built to honour the founder of Genting Highlands – Tan Sri Dato Seri (Dr.) Lim Goh Tong who passed away in 2007.